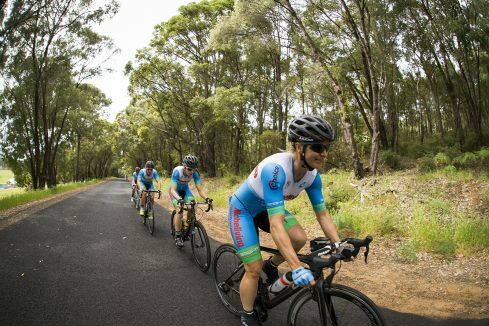 A world first ‘pro-am event’ where the WorldTour rides within the amateur peloton, the Tour of Margaret River throws the cats amongst the pigeons. They do things a little different in WA, this should be on their number plates, though there’s barely any cars to be seen on the quiet roads at the Tour of Margaret River (ToMR). 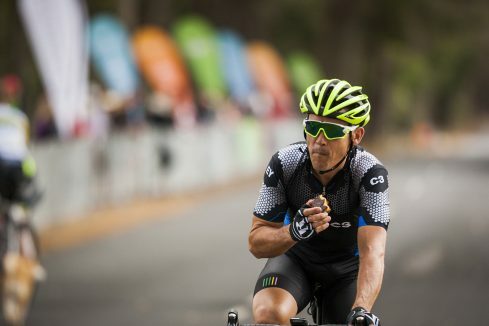 Cyclist last visited in 2015, the expectations of an easy fondo-style participation event were smashed about as fast as the field in the first road stage. Up the pointy-end Chris Hamilton (now on Team Sunweb) was chasing GC, further back Tiffany Cromwell and Robbie McEwen and their teams were pedalling out their own battle. 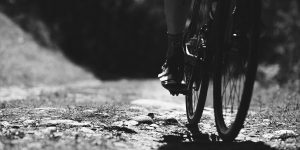 The first edition, kicked off in 1999 with just 30 amateurs, now it’s a premiere event, one of the largest races in the country, with over 600 riders and ambitions of a place on the Women’s WorldTour calendar. 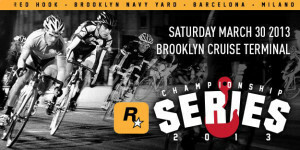 This year’s edition promises more cycling celebrities, a week of social rides, and an event village. 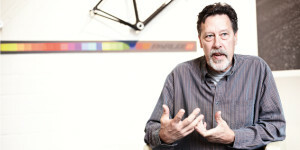 Cyclist runs through all the need to know details and a few insights from personal experience. Don’t be fooled by the numbers, the Stage 1 TTT back in 2015 was only 12 kilometres and a baptism of fire. 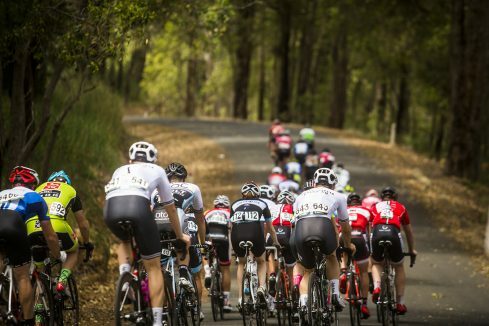 The naive may be comforted by the straight ‘out and back’ course heading north west of Nannup, these expectations will be dashed upon arrival, the start line swamped by the hum of strong legs on turbo trainers. 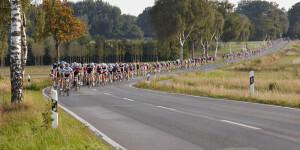 The team’s performance will dictate their starting position for the next stage. The fast will conquer the course in the hour, and the underdone will aim to not let the course conquer them. 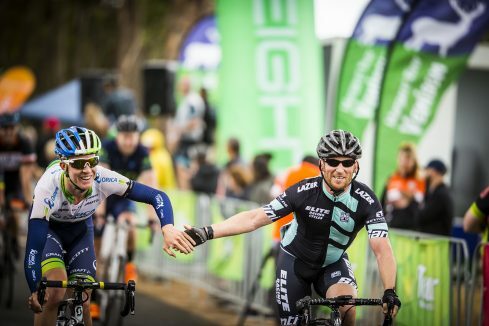 Cyclist’s tip: Get on the pro-register and sign Luke Durbridge ASAP. The profile appears to flatten out through the middle, but don’t expect too much recovery after the first climb. Teams and divisions will be roughly categorised for staggered starts but the undulating roads should see new bunches split and form, female riders should expect to find a few men struggling to hold their wheels and vice versa. Cyclist’s tip: Catapults imply launching, but first-hand experience proves it is a grave mistake to attack early in Nannup. 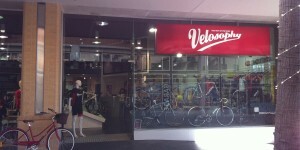 The climbing ability of Damien Howson or Simon Clarke will be handy here. 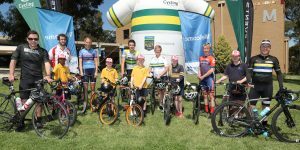 First timers will realise all towns have ‘up’ suffixes, the road Nannup to Balingup goes up too, including four categorised climbs. The finish ends on the Cat. 5 Mur de Hay, organisers are hoping to emulate the iconic Belgian road so save something for the crowds. Cyclist’s tip: Go with a pro, Marianne Vos has won the women’s La Flèche Wallonne five times on the Mur, Emma Pooley, Annemiek van Vleuten, and Kasia Niewiadoma are no strangers either. 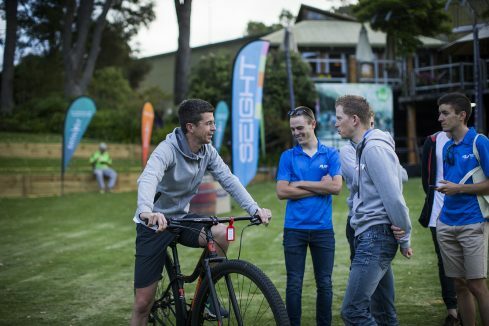 If all else fails, Robbie McEwen is the master of uphill finish line wheelies. 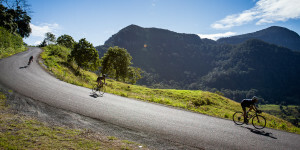 It ends how it begins, a TTT, the ToMR’s cruel solution to returning riders back to Nannup. The profile resembles the blade of a bread knife, nothing too long or steep but smooth pacing will be crucial. 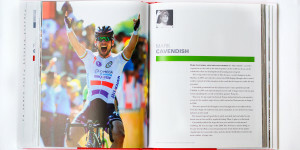 Cyclist’s tip: If knowledge of obscure stage names and TTT’s is still required, enlist the encyclopaedia of cycling, Matthew Keenan. 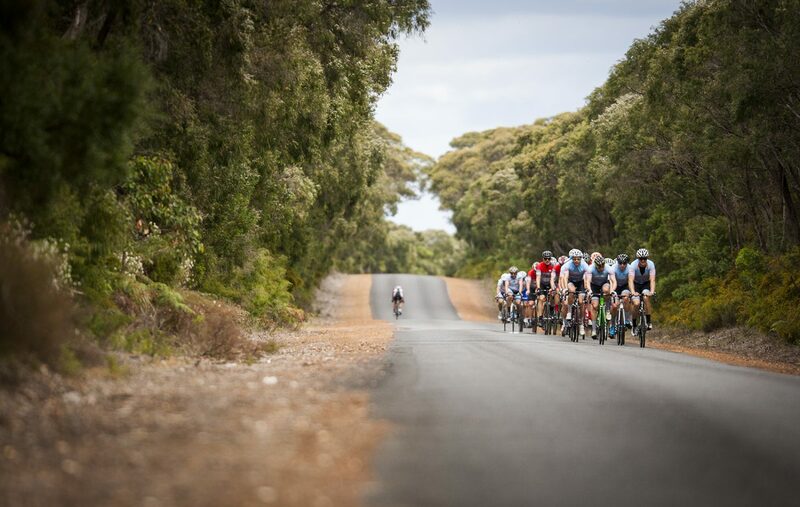 Margaret River is an iconic destination, it wouldn’t be worth the trip for just hard race days, the ToMR is planning plenty of events, a race village in Nannup and a week of social rides. The event village will feature gourmet offerings the region is famous for, entertainment, a cinema and bonfire. The additional rides include a VOSMAX package, based around training rides with Marianne and other professionals in the lead up to the tour, plus The Amazing Albany Bike Ride, a sportive event with the WM3 team, the riding around Albany is really worth the detour. The ToMR is as hard as each rider or team wants to make it, unfortunately Cyclist’s last visit had us dragged into a GC battle. The professionals are there for pre-season training, the weekend warriors to socialise and collect autographs, the state’s strongest come to race local roads, and the domestic teams arrive for professionally organised elite road racing, whilst some are just there for the fine food, wine, and quiet roads, and there’s nothing wrong with that. 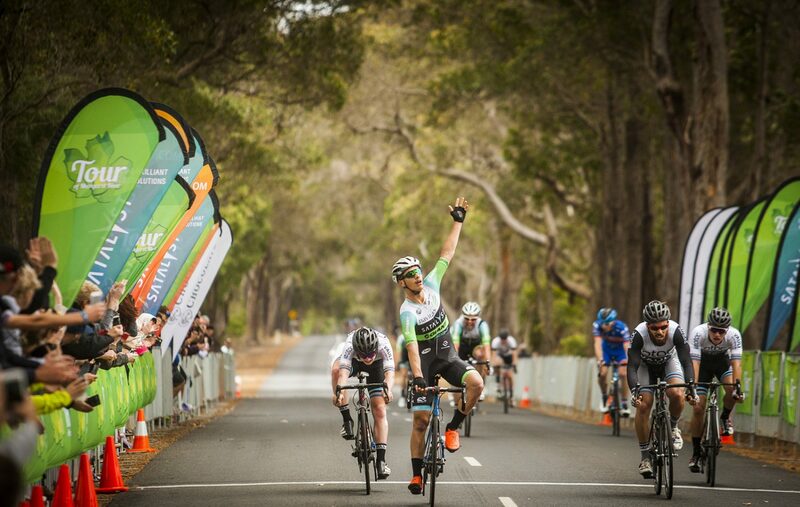 Head to the website, www.tourofmargaretriver.com, for all stage information, entry details, accommodation suggestions, and stay tuned for updates to the Pro-Register.